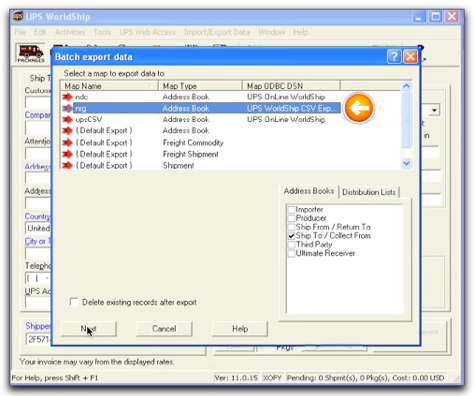 NRG: Mac & FileMaker Shipping Software :: How do I export my address book from WorldShip? 1. 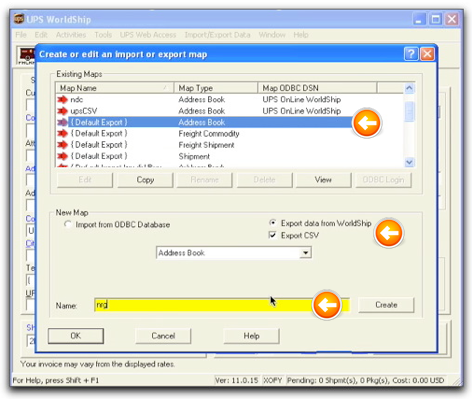 Select Create/Edit Map from Import/Export Data on the Worldship File Menu. 2. From the pop up screen, highlight the Default Export address book. Name your Export “nrg” and then hit OK.
3. Back at the main Worldship window, select Batch Export from Import/Export Data on the file menu. 4. From the pop up screen, highlight the NRG map name that you just created then select Next. 5. A pop up box will come up and confirm the the number of records you are exporting and the file type. Make sure it is UPS_CSV_EXPORT.csv, then click Next. The import will run. It will take about a minute for each 1000 records. When complete, save the file to a location that you have access to and then move the file to your Mac. 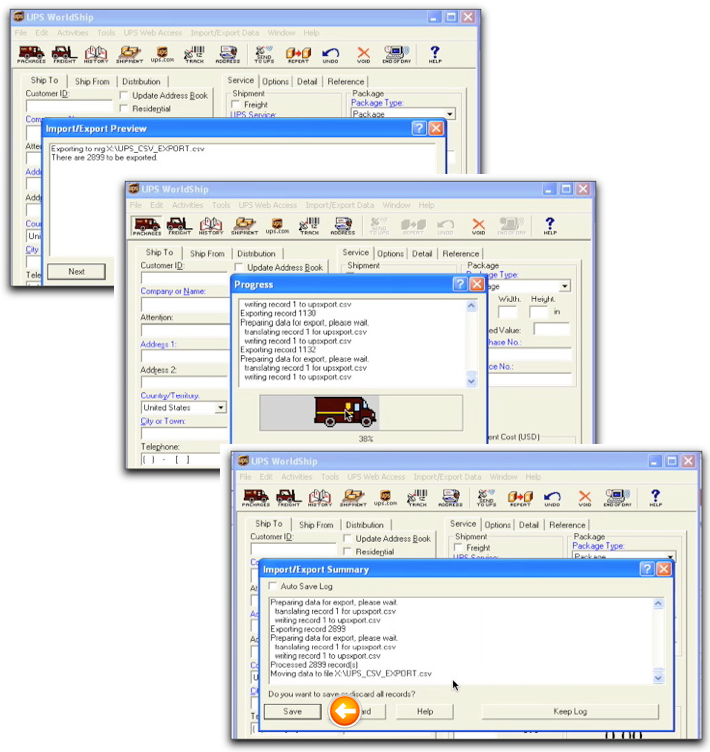 The CSV file can easily be imported into NRGship UPS and NRGship UPS Pro. View related articles for instructions.